The talk highlights the versatile role of magic lenses for many applications with a focus on visualization. In this context, most of the existing lenses (e.g., for zooming, filtering or presenting alternative views) were rather designed with the “What” in mind and not the “How”. Therefore, they are often limited to mouse, keyboard or simple touch interaction. In this talk we will focus on how Natural User Interface (NUI) approaches can overcome current interface limitations. In our research, we developed several novel, often multimodal solutions which make use of our body awareness and skills. This will be exemplified with own work on multi-touch, tangible, and gaze-controlled lenses. Spatial awareness is also at the core of our concept of Tangible Displays as hand-held, spatially aware lenses presenting a view on an otherwise virtual data space. We show tangible lenses for several information spaces, tangible views for information visualization, and tangible windows for head-coupled 3D interaction as instantiations of this concept. In addition, we demonstrate spatially-tracked mobile devices as lenses in combination with large wall displays, which facilitate collaboration in multi-display-environments. Finally, to employ and further develop the concept of physical navigation in front of display walls, we introduce body lenses as an even more body-centered means of collaboratively exploring data on a large display. Since April 2012, Raimund Dachselt has been Full Professor of Computer Science and head of the Interactive Media Lab at the Technische Universität Dresden, Germany. His research interests are natural human computer interaction (HCI), interactive information visualization, and Mixed Reality interaction. He worked extensively in the area of interactive surfaces from smartwatches over tablets and tabletops to wall-sized displays (also combined in multi-display environments) and combined interaction modalities (e.g., multi-touch and pen, tangible displays, gaze-supported interaction, body gestures). 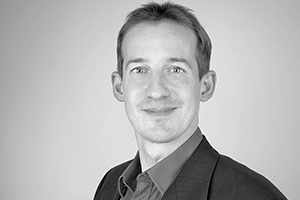 Prof. Dachselt received his PhD in 2004 from TU Dresden and was professor for User Interface & Software Engineering at University of Magdeburg from 2007 to 2012. He has published more than 160 peer-reviewed publications, co-authored two major German textbooks on HCI, and received six Best Paper or Honorable Mention awards, and three Best Demo and Poster Awards at leading international conferences. For details on publications and research projects of is group see https://imld.de/en/. Dachselt is a member of several computer societies, has co-organized 16 international workshops at ACM and IEEE conferences, and is a steering committee member of ACM ISS. He repeatedly served as a co-chair (general, program, doctoral symposium, demo, publicity, keynote chair) and PC member for top international HCI conferences and was guest editor of several special journal issues. Between 2010 and 2013 he also served as the European coordinator of the EU-funded transatlantic exchange project LEIF with eight Canadian and European Universities.